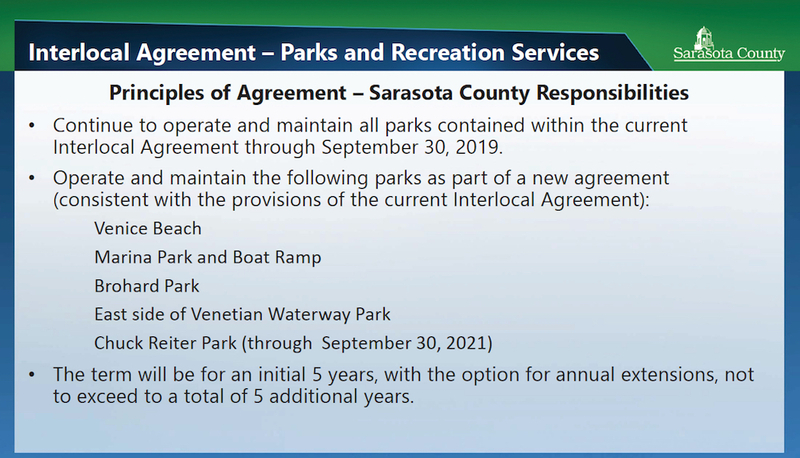 The Sarasota County administrator said this week that he feels it is feasible for the County Commission and the Venice City Council to sign a new agreement within 60 days, spelling out each local government’s future responsibilities regarding the city’s parks. At the request of County Commission Chair Nancy Detert, Jonathan Lewis also said he would have an update on the status of the negotiations by March 13, when the County Commission holds its next regular meeting. That 60-day timeline “blows me away,” Mayor John Holic said at one point during a Feb. 28 joint meeting of the County Commission and the City Council at the Venice Community Center. Regardless of the exact timing on the boards’ adoption of the new interlocal agreement, Lewis stressed, “I can definitely reassure the public” that no interruption in services will take place at the parks the county has been managing within the city. 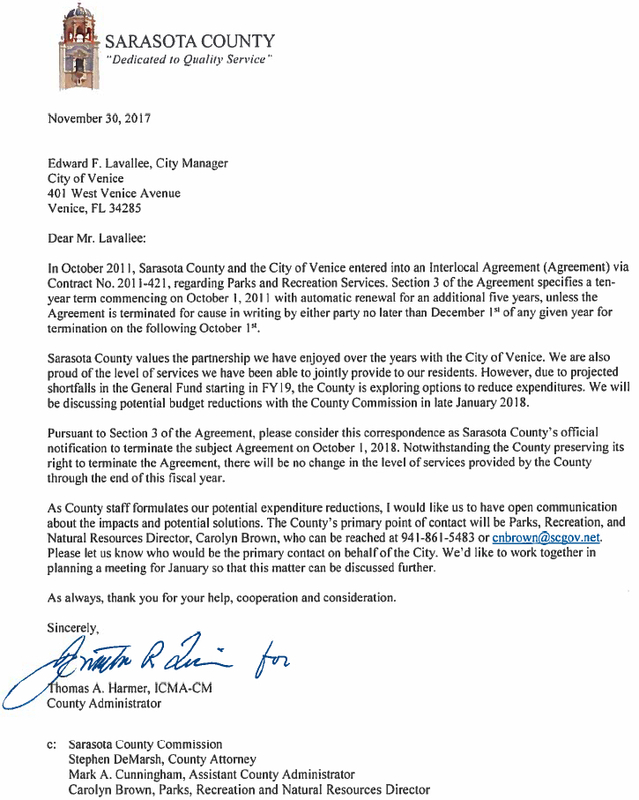 Additionally, Detert won quick affirmation from two of the other county commissioners that her board would rescind a letter the county sent to the City of Venice — and the other municipalities in the county — in late 2017, announcing the county’s intention to end the existing interlocal agreements it has with them regarding county operations and maintenance of city parks. That step — which Detert and Commissioner Paul Caragiulo opposed — was a staff proposal as a potential means of balancing future budgets. At the time, the County Commission was worried about a shortfall of more than $7 million for its 2019 fiscal year and even larger potential gaps in later years. Edward Lavallee is the Venice city manager. “No way was this ever meant to disrupt any of the youth sports in our community,” Hines pointed out, though he added that he could “understand the level of nervousness” the letter had produced. “Commissioner Hines summed it up,” Commissioner Alan Maio said. During the county board’s March 13 meeting, Detert explained, under the rules of procedure, one of the commissioners who voted to send the letter would be able to make a motion to rescind it. “Put it on our agenda,” Hines told Lewis. Applause rang out among the members of the public attending the meeting. The process through which he and Lavallee have ironed out the draft of the new interlocal agreement included “very positive discussion,” Lewis explained. “While there are early details that can be massaged,” he added, the framework has been crafted to lead to votes of both local government bodies. 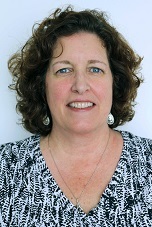 Carolyn N. Brown, director of the county’s Parks, Recreation and Natural Resources Department, then discussed the principles of the new agreement. Continue to operate and maintain all parks included in the current interlocal agreement through Sept. 30, 2019. 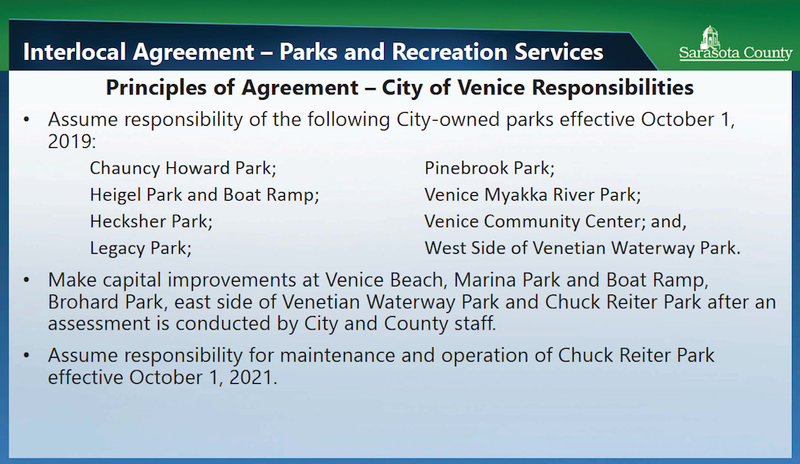 Operate and maintain the following parks under the new agreement, consistent with the provisions of the current interlocal document: Venice Beach, Marina Park and Boat Ramp, Brohard Park, the east side of Venetian Waterway Park and Chuck Reiter Park (through Sept. 30, 2021). The new interlocal agreement would have an initial five-year term, with the option for annual extensions not to exceed a total of five additional years. The City of Venice would assume responsibility for the following city-owned parks as of Oct. 1, 2019: Chauncy Howard Park; Heigel Park and Boat Ramp; Hecksher Park; Legacy Park; Pinebrook Park; Venice Myakka River Park; Venice Community Center; and the west side of Venetian Waterway Park. The city also would be required to make capital improvements at Venice Beach, Marina Park and Boat Ramp, Brohard Park, the east side of Venetian Waterway Park and Chuck Reiter Park, based on assessments by city and county staff. Those assessments were scheduled to be made on March 2, Brown noted. 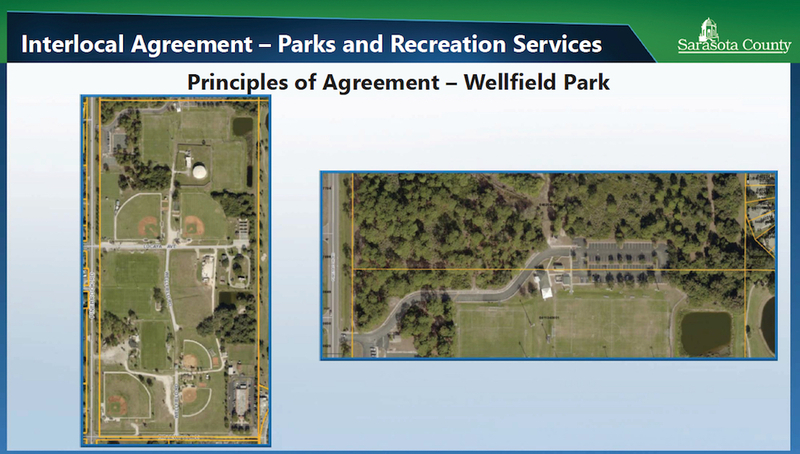 Later this year, Wellfield Park will become either a county-owned or county-leased regional park, under terms of the new interlocal agreement. That will include the tennis courts area and the existing parking lot on the north side of the park, Brown said. Additionally, county staff has asked for an extension of the northern and eastern boundaries of the northern parking lot to allow space for an extra 133 parking spaces. Brown explained that the northern boundary of Wellfield Park bisects the existing parking lot. The additional space county staff has focused on comprises about 1 acre, she said; it would be needed to make certain users of the facility would have a sufficient number of parking spaces for activities in the future. “Of course, there’s no funding right now for [future amenities],” she acknowledged. The question of whether the county will lease or buy Wellfield Park is a policy matter, Brown pointed out. During the County Commission’s regular meeting on Feb. 27, commissioners and County Attorney Stephen DeMarsh agreed that if the county does not buy the facility, it would want a “clean lease” that would not restrict its operations of the park. “A deed would be the better way than the [proposed] 99-year lease,” Hines said during that discussion. “I prefer the deed,” DeMarsh responded. Additionally, Brown noted on Feb. 28, the sign for Pinebrook Park stands on part of the Wellfield Park property. That issue also needs to be resolved, she indicated. When Detert asked whether Brown recommended a survey be done to determine the exact boundaries of Wellfield, Brown replied, “We would need the actual legal description of the park boundaries” before executing a deed or lease. Venice Vice Mayor Bob Daniels said he believed a survey of the park was completed about three years ago. 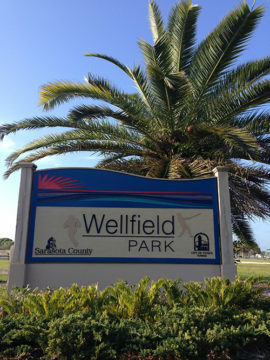 As the discussion progressed, Venice Council Member Chuck Newsom pointed out that all users of Wellfield, including members of the Sarasota County Croquet Club, based in Venice, should be included in planning for the future. “Carolyn’s well aware of that,” Detert assured him. Hines also noted that organizations that use the park, such as the Pop Warner youth football program, would be willing to help with fundraising for improvements, but not without first being apprised of the plans for the future. The leaders of the Miss Softball program and the soccer and baseball teams all are “anxious to know that will happen.” First, however, Hines continued, the interlocal agreement and the determination of the park boundaries have to be completed. Detert talked of her confidence in Brown’s being able to move in a timely fashion to achieve those goals. “I can say, as a commission member, I have received so many thank you emails [about Brown].” One that came in recently, Detert added, was from a writer who wanted Detert to know “how wonderful Carolyn Brown is. … So feel free to trust her to do the right thing for you and for us,” Detert told the Venice City Council members. City Manager Lavallee also noted that the city has no Parks and Recreation Department. Additionally, Cautero appointed to the budget concerns for the city, which has a General Fund budget of only $28 million. “And we don’t really have a … revenue stream for capital spending,” except the 1-cent sales tax. “We’re cutting millions out of our budget right now,” Detert responded. Nonetheless, Council Member Mitzie Fiedler said, “I do believe 60 days should be an outside limit” for finalizing the new interlocal agreement.